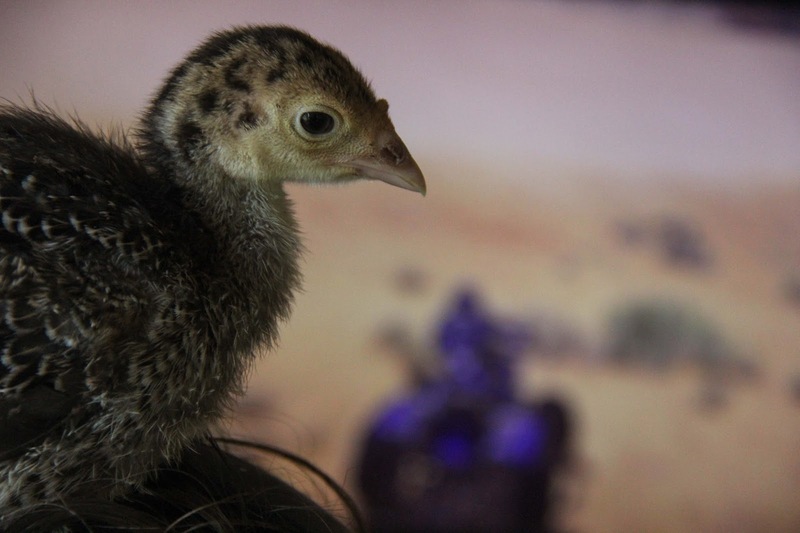 The turkey's have reached new milestones this week. They had their first trip outside. They are always begging to be out of their cage in the kitchen, but hesitated to leave the safety of the cage in the out of doors. 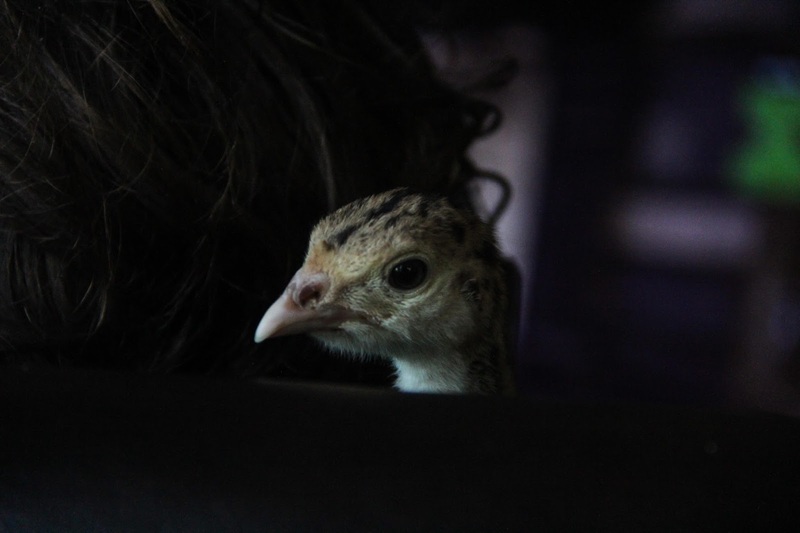 Before they left their cage they were peering up at the extinguished heat lamp as the sun warmed them. They seemed puzzled as to the source of the heat! 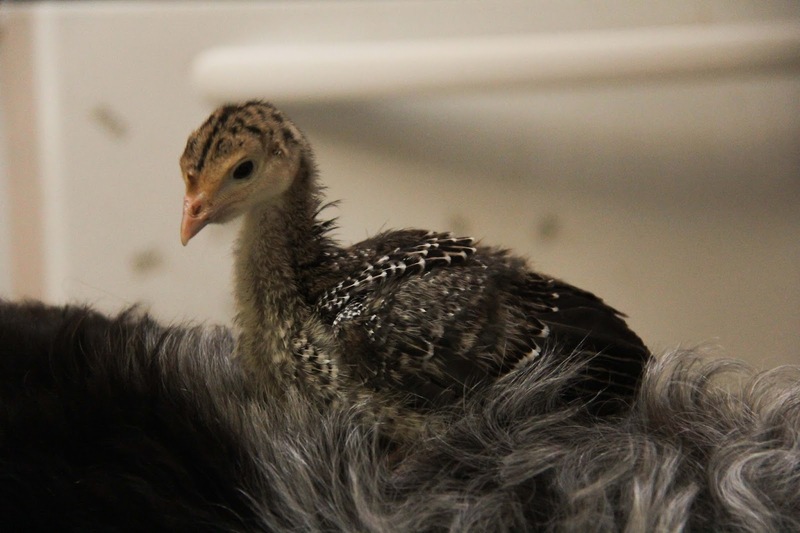 They love to ride dogs, who are quickly learning that falling asleep on the kitchen floor means waking up to a turkey nesting in their hair! 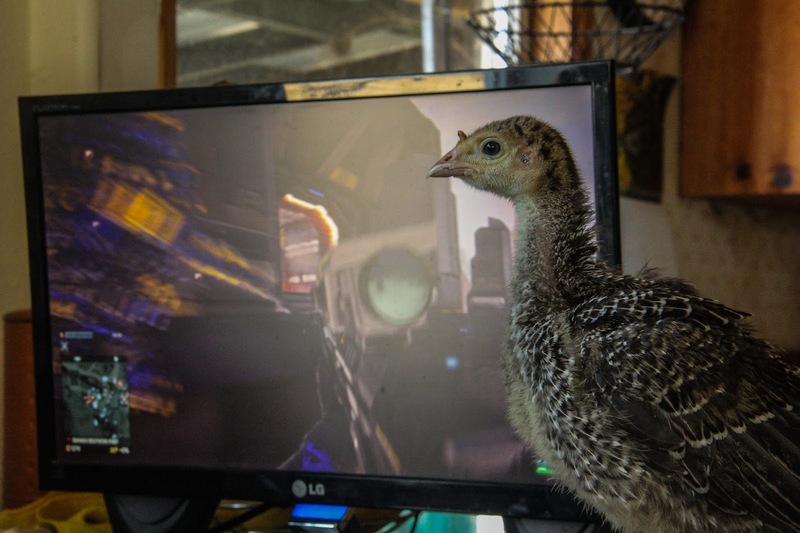 Most surprising of all is the turkey's great talent for playing video games, although they have been banned from several online games for "fowl" play! 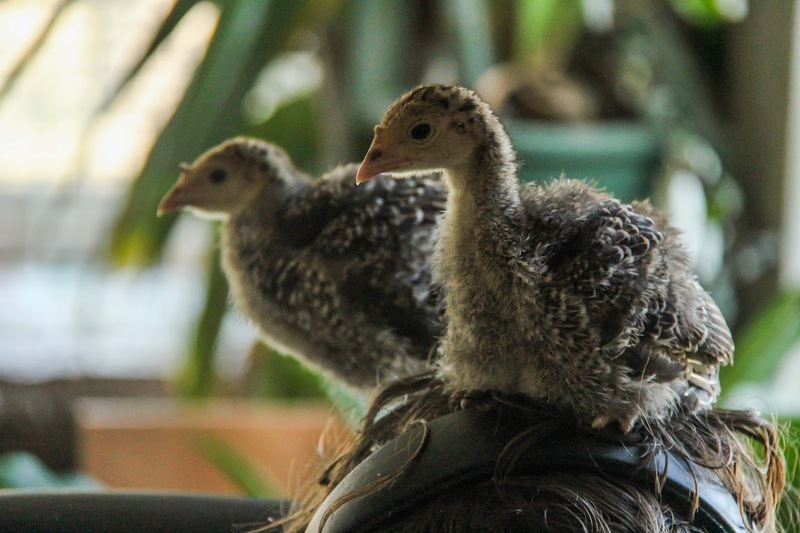 One turkey has a definite penchant for roosting on heads. They are still very much in need of a mother figure and will squawk if there are no humans in the room. They sound smarter than their reputation would have led me to believe about turkey IQ's. 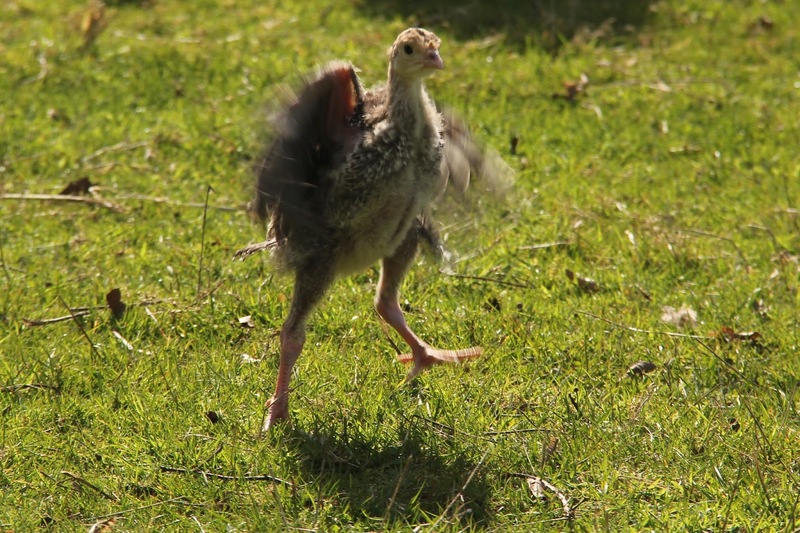 However, I hope they are Outside turkeys by Easter!